The iPhone 6 Plus is currently available for T-Mobile USA. It is available in 16GB, 64GB and 128GB model variants, and in silver, grey or gold. This is the first big screen iPhone with a 5.5″ IPS LCD touch screen. It supports fingerprint sensor technology (Touch ID) and Apple Pay for Visa, MasterCard and AMEX. It also has an improved 8MP camera with a 1080p video recorder, and a 1.2MP FaceTime camera. Now with Slo-Mo camera and filters for your videos and images. 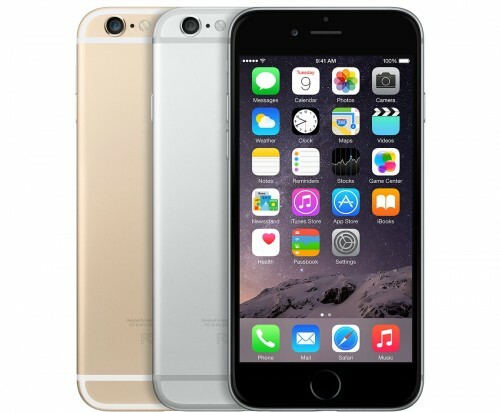 The iPhone 6 Plus is efficent and functional with its quad-core processor and 1GB RAM. You can now FaceTime on wi-fi or with a cellular data connection. You can also use Siri and iCloud to utilize every feature on your iPhone! Unlocking your Unlock T-Mobile iPhone 6 Plus is quick, easy and 100% guaranteed by Cellunlocker.net. Why Unlock your Unlock T-Mobile USA iPhone 6 Plus with Cellunlocker.net? * The resell value of the iPhone device will increase significantly as it is available to more carriers. * No complicated software, or jailbreaking, just plug your iPhone into itunes. * There is absolutely no risk of damaging your iPhone by unlocking it. Unlock Your T-Mobile USA iPhone 6 Plus!